Following close behind the low-power Nano X2 comes the Eden X2, or what VIA is calling "the world's most power-efficient" fanless dual-core processor. While we've yet to see any official numbers, the original Eden did 500MHz on one watt of power, so we should see similarly thrifty specs here. Aside from that, the unit houses two 64-bit cores in a 21 x 21 millimeter package, is compatible with Windows CE and Linux operating systems, and was built using a 40-nanometer manufacturing process. The Eden X2 made its debut at the World Embedded conference this week, and should make it to the real world by the end of Q2. Full PR after the break. 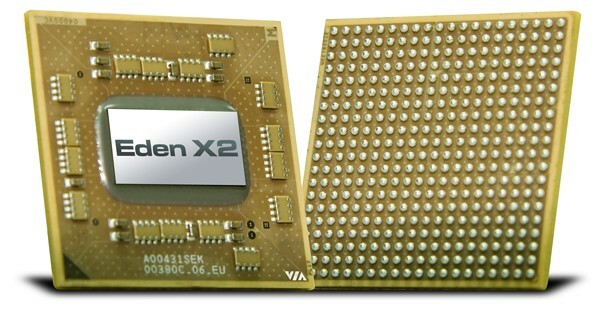 VIA says Eden X2 is world's most power-efficient dual-core processor originally appeared on Engadget on Fri, 04 Mar 2011 02:25:00 EDT. Please see our terms for use of feeds. Been wondering how that new 6Gbps SATA interface and Marvell controller have been treating Intel's latest SSDs? The answer, it turns out, is really rather nicely. Faced off with OCZ's awesomely quick Vertex 3 drive, the 250GB SSD 510 from Intel more than holds its own, occasionally flashing ahead and taking the lead. Opting for Marvell's processing chip has improved Intel's sequential performance, but has actually led to it taking a ding on random read speeds -- the latter being arguably more important on a day-to-day basis. Still, this $584 drive is one of the finest the consumer world has yet had to feast upon and should encourage high expectations from Intel's 25nm G3 storage units, which are still to come. As to having the extra Serial ATA bandwidth, we'll leave it to Anand from AnandTech to summarize: "these next-generation SSDs not only use 6Gbps SATA, they really need it." 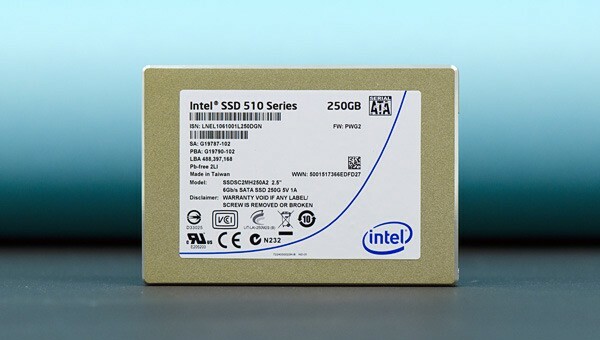 Intel's SSD 510 reviewed, measures up well against Vertex 3 originally appeared on Engadget on Fri, 04 Mar 2011 11:27:00 EDT. Please see our terms for use of feeds.